The sun is out and we’re headed to the beach to meet maker and designer Jo Kalute of the women’s swimwear brand Clovelly Cozzies based out of Sydney, Australia. Inspired by sea-side living and Jo’s African heritage, Clovelly Cozzies offers timeless beauty that is accessible to women all across the globe. Not summer-ready in your part of the world? 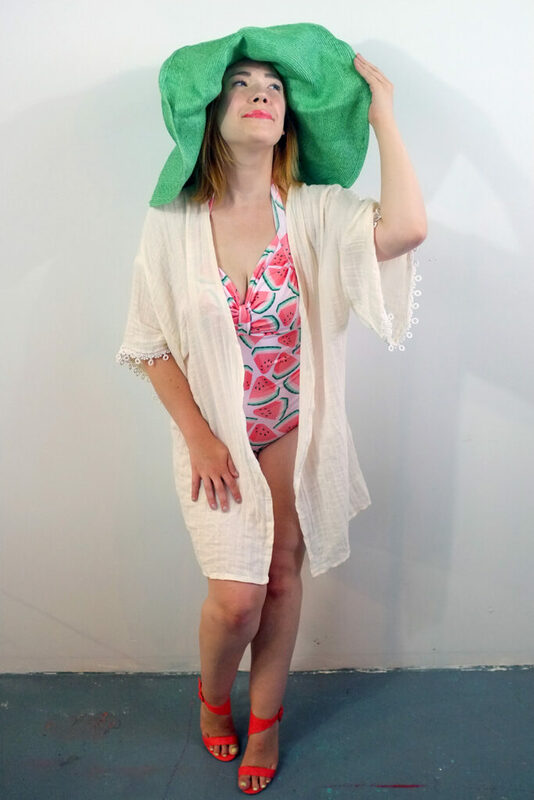 A unique thing about Jo is that she offers the designs she features on her swimwear line in her Spoonflower shop. (We’re loving her Many Hands Print on the Inari Crop Tee available on Sprout Patterns.) It was such a pleasure getting to know Jo and you’re going to love this feature—so suit up and dive in! When maker Bethany Ludlam visited the Dominican Republic with her husband in 2015, her soul was instantly enamored with the glimmering beaches and vibrant community of the Dominican people. That vacation is what led Bethany to create her own swimsuit brand, Lsea Swimwear. Based in Jacksonville, Florida, Lsea Swimwear products are entirely handmade in the United States and feature tropical and fun prints from independent designers. Ready for a feel-good bonus? Bethany donates a portion of each swimsuit sale back to the Dominican community that inspired her brand. 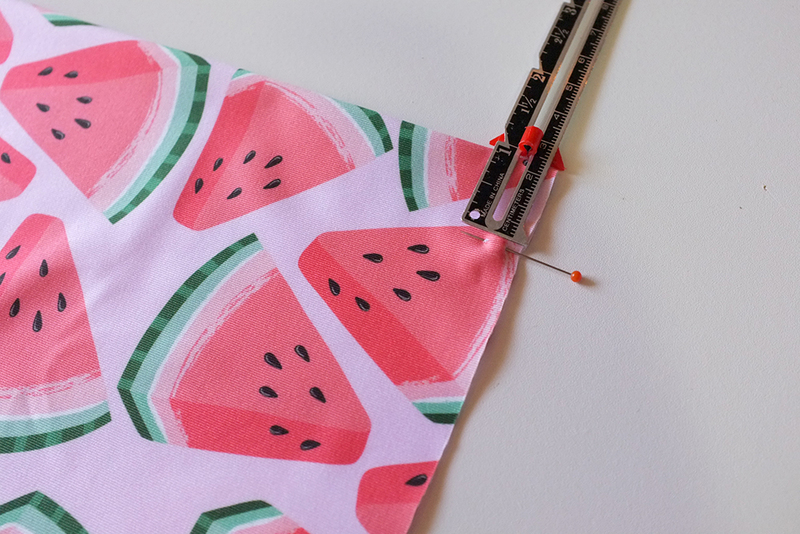 We love seeing Spoonflower fabrics displayed in such a playful and imaginative way, so grab your shades and soak up our latest meet the maker interview! Store-bought swimsuit woes — we’ve all had them. You’re inside a horribly lit fitting room with 10 different suits, all of them gaping in the wrong areas, barely covering you in others. Is it just me or is your normal dress size nearly doubled when it comes to bathing suits? I’m convinced it’s a cruel joke on the part of these swimwear designers who are just out to get us frustrated and confused about what’s going to actually fit. In the journey to total body confidence, swimwear can be a dreaded thing for many women. Enter the me-made suit. When you sew your own, you have complete control over fit. You can show off the areas you feel comfortable with, and cover the parts you want to be more modest about. No weird size tags, just pure and honest measurements. No itchy labels. No weird pulling or gaping. Just your perfect dream suit, in your perfect print or even one you designed yourself. I recently came across the Bombshell Sew Along and pattern from Closet Case Patterns. 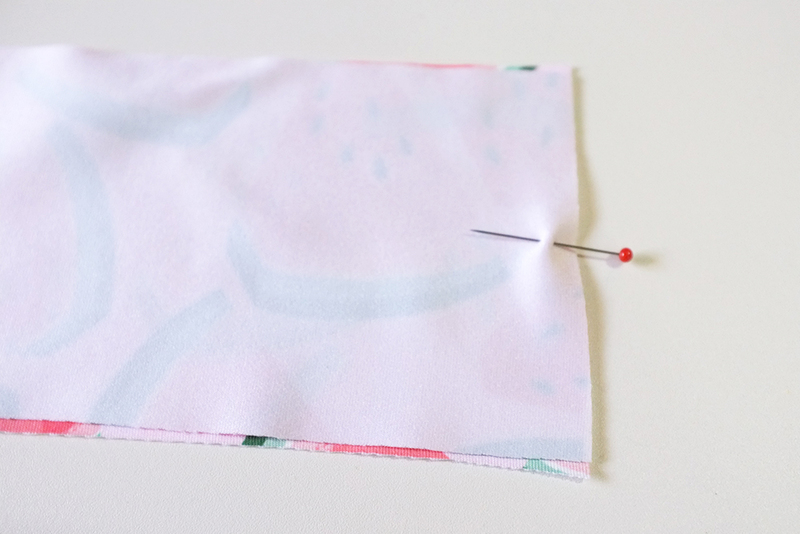 Let me tell you — this sew-along / pattern combo was sent from above! I was once super intimidated by the idea of sewing my own swimsuit, but knowing that Heather’s sew along would guide me through each and every step with extremely thorough instructions, photos and diagrams along the way made me feel brave enough to take the plunge — and I’m so glad I did. Here we are at part three of our Alison Swimsuit sew along! This is the third and final part, so when you are finished with these steps you are done and can start wearing your own. This last part is all about sewing the bands and fitting the suit to your body. First, we need to sew together and stretch in the back band that transforms into the straps. We cut two of the strap pieces, so we must first sew them together. Place the edges right sides together and sew/serge. 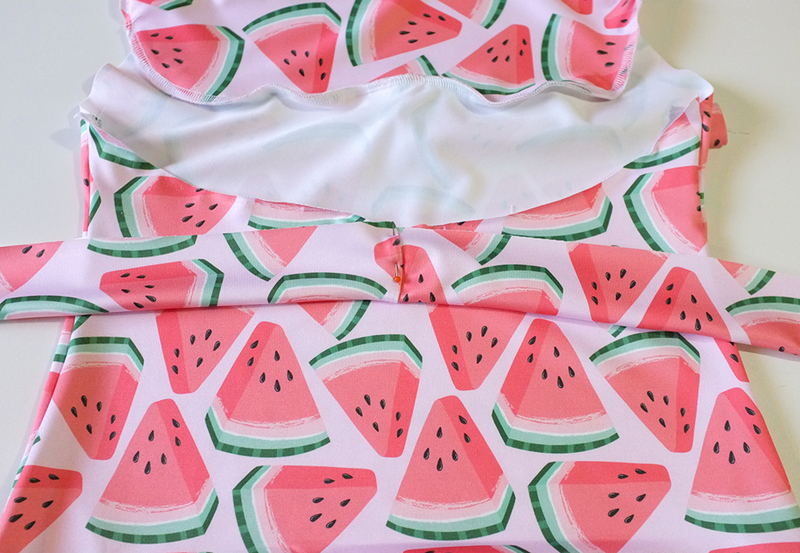 Welcome back to part two of our Alison swimsuit sew along with Sport Lycra! 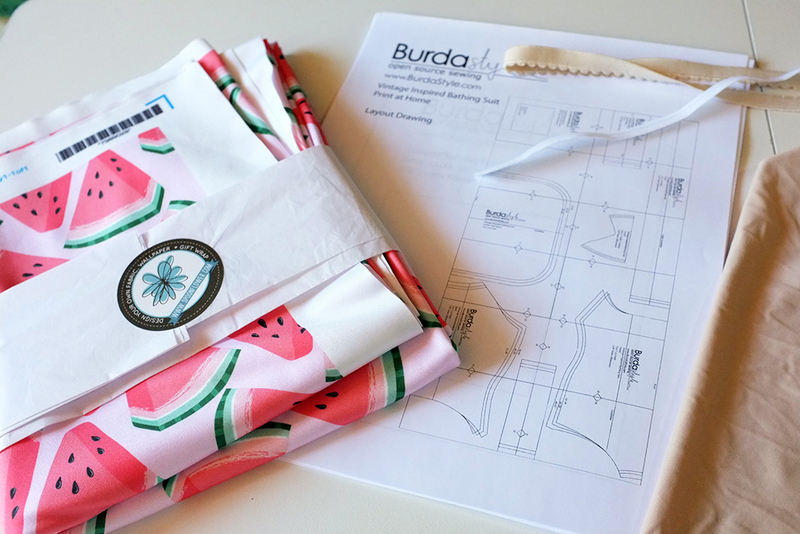 This type of fabric is just perfect to use for sewing up your own swimwear, and the Alison swimsuit sewing pattern is a great option since it is a one piece and can really show off the awesome print you chose for your fabric! We left off last time in part 1 of the Alison Swimsuit Sew Along sewing the crotch seams together, and now it’s time to finish off the rest of the bodice. Grab your bust piece since we will be starting there. We’re delighted to introduce our latest featured maker, Toronto-based Cheryl Moldon of Ollie Jones Clothing. After leaving a lucrative but grinding fashion career when she had her son in 2012, Cheryl’s home-based business stemmed from a (frustrating) search for leggings for her son that were both comfortable and fashion forward. 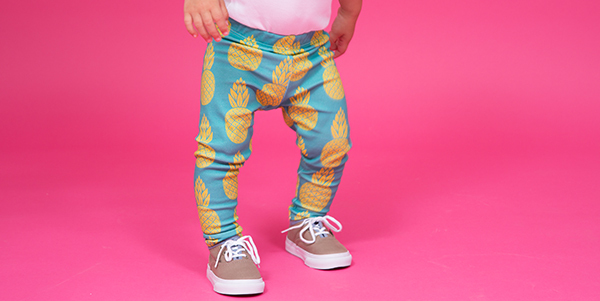 Now selling handmade leggings to customers worldwide, she has expanded her collection of on-trend, comfortable kids’ clothing to include dresses, swimwear and more.